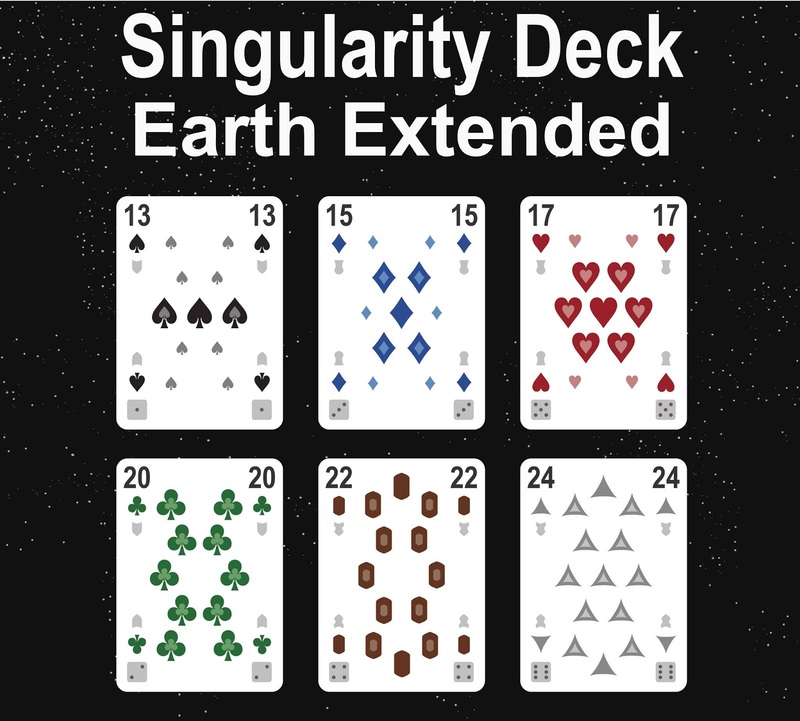 The Singularity Deck - Earth (Extended Ranks) is an expansion for The Singularity Deck - Earth Full Set that adds the additional ranks 13-24 for each suit in the set. This includes spades, hearts, diamonds, clubs, triangles, and ovals. 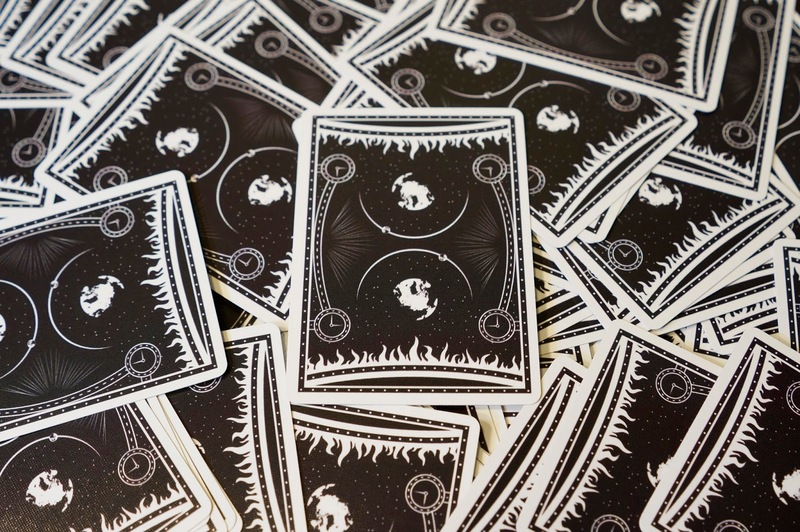 I must say, I think this deck is the right amount of futurey. I might have to use it in a story sometime. If you ever do I'd love to read it.